One of the best parts of staying in Norway, Maine is the easy access to beautiful nature. When you stay at Dove Way, you're within easy driving distance to several trails that allow you to experience local beauty while getting your body moving. 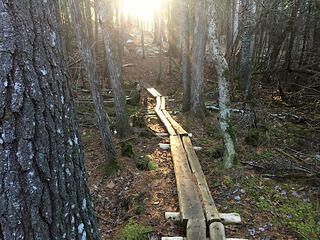 These are four trails we love near Norway Maine. Only three miles, or a six-minute drive from Dove Way, this 165 acre preserve has several trails of varying lengths for you to enjoy. Dudley Pike first purchased the land in 1787, and passed it down through several generations of his family until The Western Foothills Land Trust bought it in 2007 to conserve and preserve the land. Robert's Farm preserve has a beautiful farm pond, stone walls, fields, pastures, orchards, and groves that you can appreciate during every season. 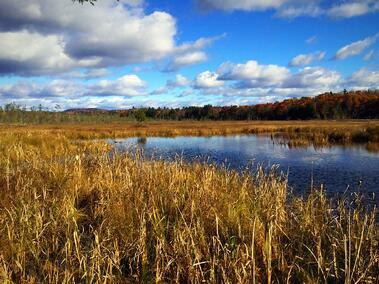 1.5 miles from Dove Way, this preserve is a three-minute drive or 30 minute walk. The Detert Family donated this land to the Western Foothills Land Trust in 2010, and previously had supported the work of several local families since 1797. The two-mile Witt Swamp Trail finished construction in 2016. Depending on the time of year, travelers will also love visiting the dairy farm, flying kites, picnicking, snowshoeing, sledding, and cross-country skiing. 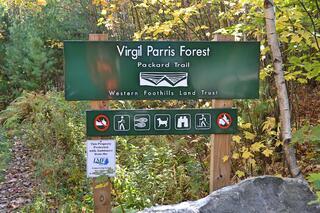 Located in nearby Buckfield, Virgil Parris Forest is about a 25 minute drive from Norway. Western Foothills Land Trust gained full ownership of this lovely 1,236 acre preserve in 2009, in order to conserve the natural resources and wildlife present. The trail covers over 150 acres of the property, and includes views of North Hill, marshes, glacial erratics, two small waterfalls, and a small cemetery. The trail is ideal for walking, jogging, and other outdoor activities, and is suitable for nature-lovers of all ages. Just a six-minute, three-mile drive, Western Foothills Land Trust named the land after Norway's first blacksmith, Benjamin Witt. Until 2004, when Western Foothills Land Trust bought the land for conservation purposes, C. B. Cummings & Sons of Norway owned the preserve and used it to make wooden game pieces. In 2012, the one-mile Witt Swamp trail loop was completed, and offers numerous springtime wildflowers and autumn wild mushrooms. We are so lucky to have such amazing options for outdoor adventures so close to Dove Way, ME. 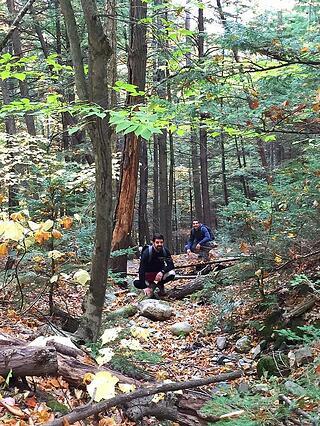 If you visit us be sure not to miss these amazing trails near Norway, Maine they are beautiful year-around. Considering a vacation to Norway, Maine?